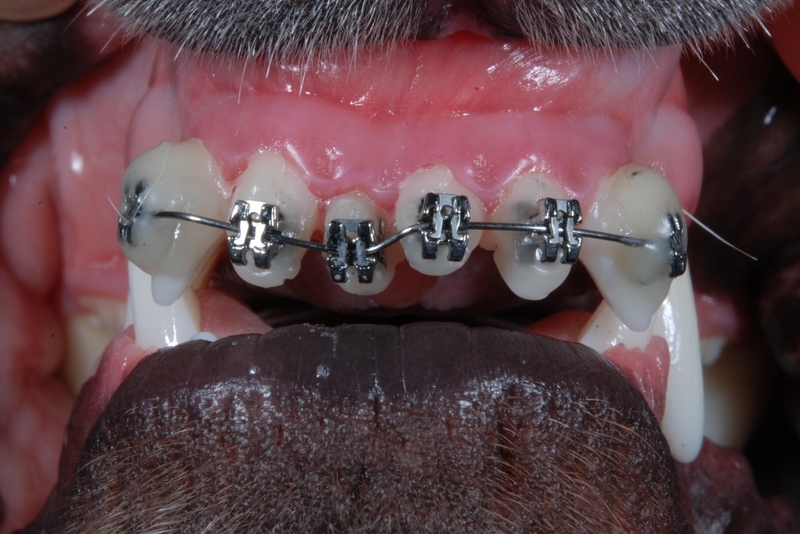 Orthodontic abnormalities (malocclusions) are very common in dogs and cats. However, many abnormalites do not require any correction. Pets do not care if they have crooked teeth, but they do deserve a pain-free occlusion. Many malocclusions are congenital and can be passed on to the pet's offspring. Therefore, it is recommended that animals with severe malocclusions be spayed or neutered. Our treatment goal is not to conceal abnormalities, but to provide the pet with a comfortable and functional mouth. Many malocclusions can be very painful and may lead to early periodontal or endodontic disease.